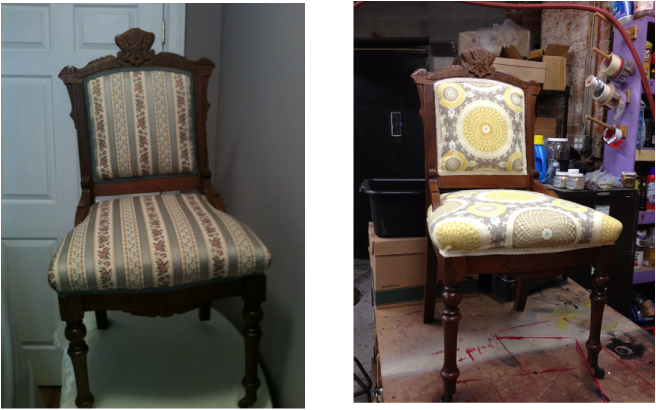 Various pieces I've upholstered over the years. I have knowledge of button tufting, chair webbing, and a range of upholstery techniques. I am continuing to work on my skills to sew cushions, slipcovers, and other furniture soft-goods. 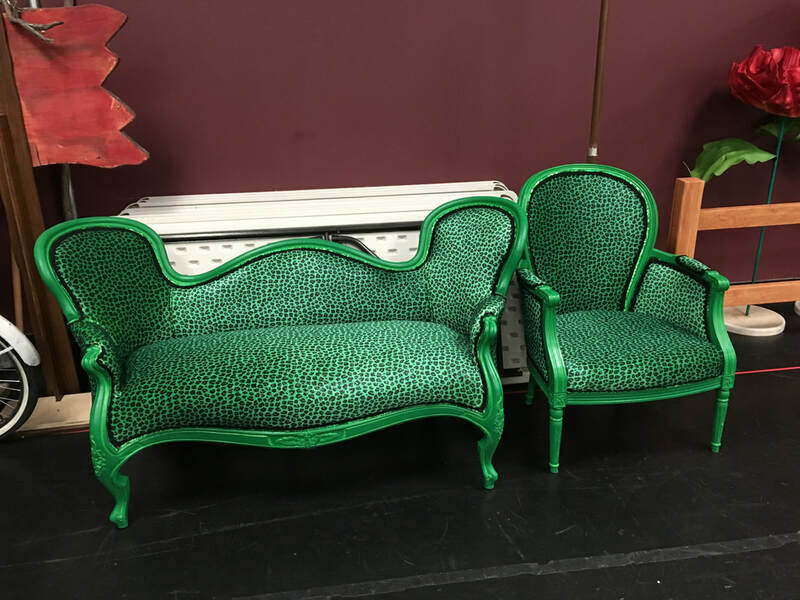 Matching settee and arm chair for the Emerald City in the "Wizard of Oz" at the Grand Theatre, 2016. Green leopard print stretch knit with black gimp and green sequined trims.